You are currently browsing the MSBLOG weblog archives for April, 2006. Feel free to use them on your site – however please keep the msblog.org mark in the corner there as the images are copyrighted to msblog.org, and please upload them to your own servers to save our bandwidth. Turn a counterfeit copy of Windows XP into a free Vista license! Perhaps you haveÂ bought a license of Windows XP Home, Pro or Media Centerd Edition 2005Â from your local dealerÂ and afterwards it turned into aÂ counterfeit while trying to validate it through WGA (Windows Genuine Advantage) program. And now you may think what can you do? You tried to buy aÂ genuine license and got a imitation copy. Here is your chance. After it failed to validate it you’ll see an online shop on the WGA program website where you can buy aÂ genuine license of Windows XP Home, Pro or Media Center Edition 2005. OK that isn’t very specialÂ but here is you real deal! You will get a copy of Windows Vista Home Basic, Home Premium or Business for free when it’s available in january of 2007. The offer is available only when validation through WGA failed AND you purchaseÂ at thisÂ online shop!Â Offer is available until 06.30.2006! Have a look at what I stumbled across just after writing the entry before this – it seems that Windows Live ID is slowly but surely rolling out to a lot of the Passport services, replacing them as it seems. Obviously MSN is still going to stick around, and whether Windows Live ID will appear to replace the Passport (in terms of branding anyway), we’re not sure, but at this stage it appears that certain Windows Live services which need to sign in will be using this new interface. Just want to say a big thanks to Chris at Liveside.net because although we never doubted him (because he’s a very very good source of reliable information relating to Windows Live), he posted about this some time ago but finally we get to see it in real life!! 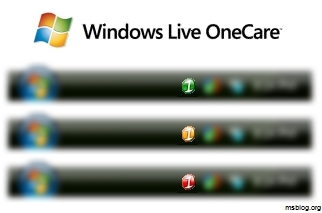 New to Windows Live? Now there’s no excuse! Just been pinged about this – it’s a new website (not sure how new, but still relatively new) of which gives you a whole load of information about Windows Live; what it is, what you can do with it, games and all in a Flash format so it’s dynamic and easy to use. Go there now – it’s fully supported and ran by the Windows Live/MSN UK guys (the people I’ll be working with this summer, touch wood) and you can check it out now. Â Microsoft’s stock price on the New York Stock Exchange (NYSE) has dropped 11% after reporting around a decreased earnings projection of about 11-16 cents less (can’t remember the exact numbers). This decreased projection is due to an extra 2 Billion dollars of spending on expenses to compete with companies like Google, and it will eat into the company’s profits. Â The stock price is currently $24.28. Also, the CIBC has downgraded Microsoft to “sector underperformer”. . . the CIBC also stated Microsoft “is spending like it’s 1999”. Browser add-ons can help personalize the way you use the Internet. The add-ons available here have been carefully screened by Microsoft and rated by users to help you select the ones that suit your needs and preferences. Start exploring them today. Posted in MS News | Comments Off on IEAddons.com Up! Windows Mail & Outlook Express Tray Control – Minimize to tray! We’ve all wanted to minimize Outlook Express / Windows Mail into the system tray before — Outlook does it, other mail programs do it.Â Well, Kristan Kenney over at digitalfive.org has created a nice little app that provides this functionality. A group of self-titled “political activists” in Massachusetts has started an aggressive campaign to get browser users to switch from Microsoft’s Internet Explorer to Mozilla’s Firefox. Taking advantage of a new program by Google, the campaign, called Explorer Destroyer, pays users $1 for each referral to Firefox made through Google Toolbar, according to the group’s Web site. This updated version of the Windows Server 2003 Security Guide provides specific recommendations for hardening computers that run Microsoft Windows Server 2003 with Service Pack 1 (SP1) in three distinct enterprise environments. Internet Explorer 7 Beta 2 is OUT! There was IE7 Beta 1 for technical beta testers, and then IE7 Beta 2 Preview, and now, Internet Explorer 7 Beta 2 is finally released, to the public!